Kanata Wheels is the leading tires and wheels selling company in the city of Ottawa. Now travel safe with the highest quality tires, rims and wheels atlowest rates and discounted deals. We are offering top manufactured products with an extensive range of winter, summer and all-season tires, wheels and rims. The customers can find hundreds of sizes, designs and types of tires for trucks, cars, vans and SUV's. A very large variety of products from renowned brands have been kept to make sure that our customers enjoy latest collection of tires, rims and wheels at the best possible rates. Quality control is strictly maintained because retaining customer satisfaction is our foremost priority. Exquisite tires and wheels are available both for the private and commercial customers. We ensure better vehicle performance, extra mileage and enhanced functionality by delivering best automotive products and accessories. Get the best standard of winter tires from some of the most renowned brands and enjoy a safe drive in the extreme winter season of Ottawa. We have the pride of serving the customers with large varieties of winter and snow tires in the most compatible rates with full product warranty and maintenance services. 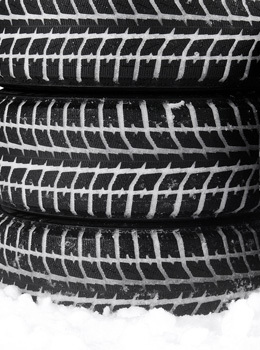 Winter tires with tread patterns that can provide a better grip on the slippery roads are surely the demand of the drivers in order to ensure efficient performance. We have got the vast experience and stock to accommodate these demands in pocket friendly packages. 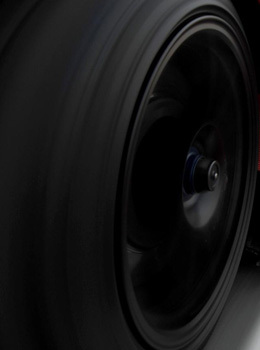 No matter what type of automobile you have, our diverse collection of snow tires can surely fit to your requirements. The product selection is also facilitated by delivering the professional tips and suggestions from our adept team members. The support and professional assistance regarding the different types of winter tires is delivered totally free of cost and is of great advantage for the drivers. Our winter special offers are marvellous and popular with our customers who believe in us as dependable supplier of wheels and tires for snow season. We are offering cheap summer tires for sedan cars, SUV and trucks. We have the biggest selection of summer tires with all the famous brands in Ottawa. 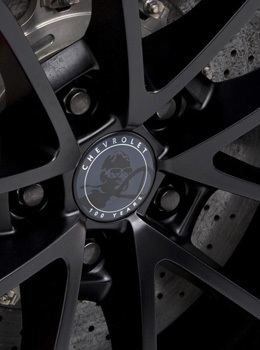 We offer cheap Rims for cars, vans, SUVs and trucks. We have a huge selection of branded winter Rims in Ottawa, Orleans and Kanata at affordable package deals. The winter tires are actually different from the regular and all-seasoned tires because they have different patterns and designs in order to provide a strong grip on the slippery snowy roads during the winter season. In Ottawa, due to the extreme weather conditions, the demand of winter tires reach to its maximum in the winters. In such a scenario, installing high quality tires becomes a necessity. But only fixing high standard and expensive products would not be a good idea. One has to buy and install the appropriate set of tires in accordance with the vehicle in question. Proper inspection and maintenance of tires is essential in order to enjoy a smooth and hassle free drive even on the icy roads. The drivers should replace all four tires of their vehicle with the winter tires for ensuring better performance. In some cases installing two winter tires can be dangerous as it can lead towards unpredictable vehicle movement and the drover in some cases might also lose control over the vehicle. Moreover mixing different tread patterns and designs should also be avoided because diverse set of tires fixed in one vehicle may imbalance the stability of drive. The patterns of the snow tires should be checked before installation and for this purpose one should always contact professional and experienced technicians and mechanics. We have special deals available for Replica Rims before the summer gets started. We are offering all sorts of rims at very low prices for your vehicles in all seasons. We have a wide variety and leave it up to you to choose rims of your choice for your vehicle in Ottawa. It does not matter which vehicle in what model you are driving, we are present here to reply to all your requirements in all weathers. Our customer service is efficient and smart to respond you promptly and help you get the rims you need for your vehicle. Contact us today and ask for your desired rims in Ottawa. We are sure that you will again come to us as we guarantee that we keep our high standards maintained and win your confidence in the long run. We never compromise on quality and performance is the only criterion we pursue. We have a variety of wheels compatible to all brands, types and models of vehicles for your domestic and business use. You will be offered not only super quality and excellent performance of our wheels on roads, but also elegance and style when you leave for your destination. They look beautiful and stylish and have the desired strength to fight the intense weathers around the year. They have been designed to travel through all seasons including summer and snowfalls that are frequent in Ottawa. 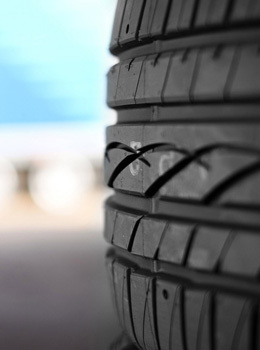 Finding suitable tires for your automobile is very important in order to enjoy a smooth drive. We at the Kanata Rims & Tires are committed to accommodate the requirements of the customers in competitive rates and discounted deals. We are an Ottawa based company that specializes in all types of summer and all-season tires for cars, trucks, SUV's, buses, and coaches, heavy vehicles, luxury cars, and vans. Our company is a one stop shop for the enthusiast drivers who want to maintain the performance and appearance of their vehicles at a higher pedestal. Highest standard of summer, performance tires, and all-seasoned tires stock is available round the clock for catering the demands of the customers on prompt basis. Valuable deals and discount vouchers are also designed and launched time to time for the acute customer satisfaction. Our services include the computer diagnosis, oil inspection, maintenance, tire inspection, brakes adjustment, wheel balancing, tire mounting, installation and suspension works. Contact us today for high quality and durable Summer & All Season Tires for your vehicle at competitive rates. We will promptly respond to your call with the confirmation of your visit details and will assure you a deal of summer tires at reasonable price that suits your car and budget both. Our branded Winter tires in Ottawa are the best runners around the year. You can save your money if you download our rebate forms below to buy tires and rims for the winter season in Orleans and Ottawa because we are offering the best deals in the wheels market. We also guarantee that we deliver the maximum satisfaction, safety, and happiness to you on roads.